Bay Area Solidarity Summer is organized by a volunteer group of progressive activists committed to supporting and mentoring the next generation of young South Asian organizers. Contact us if you're interested in volunteering or have other questions. Anirvan Chatterjee is a techie, storyteller, and activist with roots in Bengal and Berkeley. He's built a tech company, read 1,700 books, and currently works with the Berkeley South Asian Radical History Walking Tour, ASATA, and the Desi LGBTQ Helpline. Anu Mandavilli has been involved in social justice work with community organizations, social movements, and labor unions in India and the U.S. She was part of the Mining Zone Peoples’ Solidarity Group research collective, working with communities in Orissa, India, fighting land grabs by steel giant POSCO. She has worked on campaigns around Hindu nationalism and corporate accountability with Friends of South Asia and the Free Binayak Sen campaign. Locally, she works with the San Jose Peace and Justice Center and the Coalition for Justice and Accountability towards civilian oversight of the SJPD. Anushka Fernandopulle lives and learns in the San Francisco Bay Area where she has been engaged in progressive movements for LGBTQ equality, racial justice, and peace for much of her life. Anushka also works as a consultant with community-based organizations, leadership coach, and Dharma teacher. Arati Warrier is a poet, educator, and BASS 2017 alum. She's a 2014 national collegiate poetry slam champion and a recipient of the Academy of American Poets prize. She also has 5 years of experience working for youth poets. Arati currently organizes with the Alliance of South Asians Taking Action and works as a full time high school English teacher. Dave Kalloor is a community-based clinical social worker living in Oakland. Dave grew up in Texas, where he became passionate about community organizing after witnessing his community face detention and deportations. He has worked with youth and communities of color on issues such as the school-to-prison pipeline, immigrant rights, and toxic masculinity. Dave thrives off of pizza, coffee, and hugs. Harjindar Lally is a first generation Fiji-Indian American with Punjabi Sikh ancestry. She has 12 years of experience working with youth of color, immigrant and LGBTQ youth focusing on social justice activism, healing and liberation. She is a clinical social worker currently providing anti-oppression based therapy to youth of color in the East Bay. She enjoys good laughs, meditation, working out and chocolate. Nathaniel Shara is a social justice therapist and community educator. Since 2008 he has worked with the Oakland-based organization Generative Somatics, bringing a body-based trauma and healing framework into movements for social and environmental justice. Nathan participated in Youth Solidarity Summer in New York City in 2002. He is passionate about intersectional feminism, California camping, his favorite podcasts and healthy relationships. Nupur K. Modi-Parekh, a garba-loving Gujju, got his degrees in biomedical engineering management from Duke University. 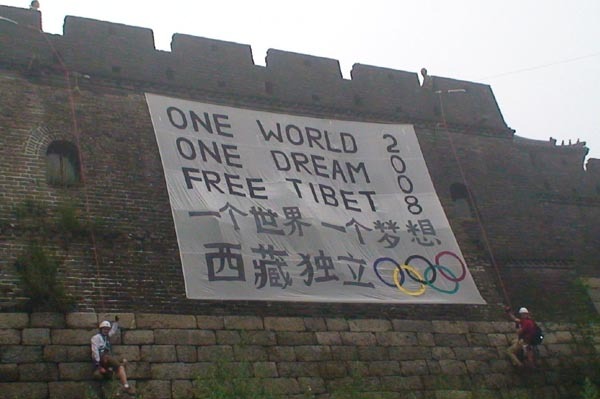 He then was arrested for containing hazardous waste at the the Bhopal Gas Disaster site and hanging a Free Tibet banner off the Great Wall of China. Nupur currently campaigns to preserve good jobs for hardworking Americans at the Teamsters. But now, this black-belt jujitsuka faces the hardest, scariest challenge of them all—raising a 4-y.o. rabble-rouser. Palvinder Kaur is a public health, education, and social justice enthusiast. She is currently the Director of Development and Programs for Jakara Movement. She is passionate about building community power and inspiring changemakers. She enjoys photography and accepts tips to improve her skills! Shams-Tabraiz Muzaffar is a Youth Solidarity Summer alum and has worked with development, humanitarian aid, research, education, and labor organizations in a range of countries including Pakistan, Eritrea, Ghana, South Africa, and the United States. He is also co-director of the forthcoming documentary film Son of a Bug. He loves ice cream and milkshakes. Yasin Khan is a DIY enthusiast that works at the intersection of public health and labor. Before moving to the Bay Area she spent two years living in India, first studying Urdu and working to improve health and safety conditions at a tailor shop in Lucknow. Then, she worked to establish a community health program with tea farmers in Darjeeling where she studied Nepali. She loves crafting, lattes and hiking.